Known in Italy as "La Festa Degli Innamorati," Valentine's Day originated during the Roman Empire to celebrate the queen of Roman gods and goddesses. Tonight's live jazz at the Z with Jeko Fauzy Trio celebrates l'amore, Italian-style. Open jam session for musicians. Bring your instruments and join the band! 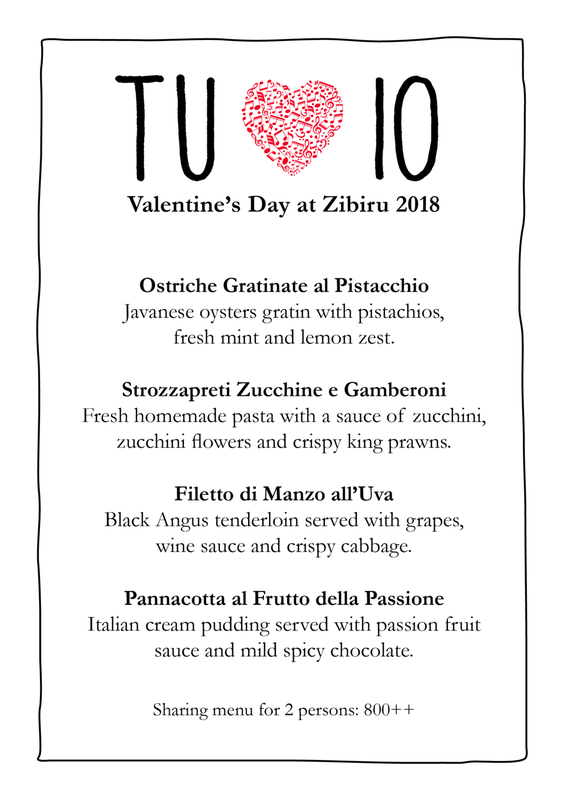 Celebrate this lover's day with an aphrodisiac inspired set menu created for two that is sure to get you in the mood for love. Reservations recommended.